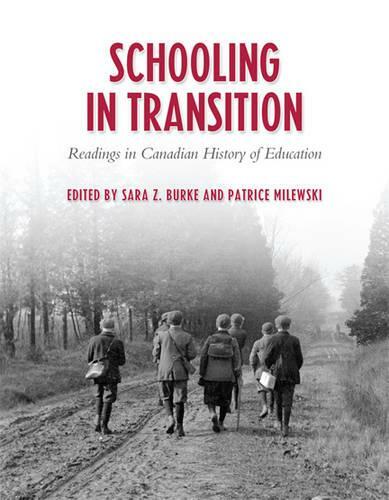 Schooling in Transition offers students a broad survey of key themes in the history of education, bringing together ground-breaking research on developments from across Canada with the best work published in the field. Looking back over two centuries of education history in Canada, this textbook highlights the degree to which key issues -- such as local versus central control of the public education system, and the accommodation of minority needs -- continue to shape the experience of children within our schools. Schooling in Transition is ideally structured to accommodate a one-semester university-level course: each chapter contains a short thematic introduction, two articles addressing the common theme, and suggestions for further readings. A general introduction by the editors outlines the main issues in the historiography of education in Canada, while historical illustrations included throughout serve to stimulate readers' interest and promote debate.